Playing Pie Face for National Board Games Week! 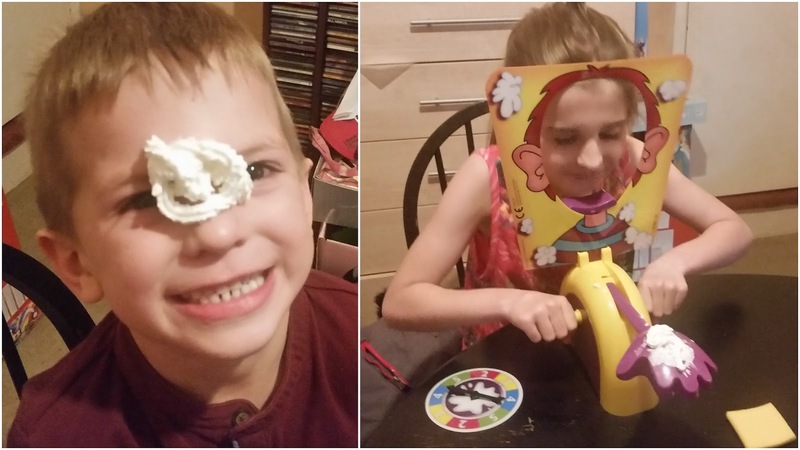 So, last week was National Board Games Week and with the help from the Pork Farms Board Games Championships we got to join in by playing Pie Face for a night. My three children have been asking for this game for so long but I've had my reservations about it due to the mess factor. I did try to get them a copy at Christmas but it was sold out so last week I surprised them with it for our very own family games night and they were delighted. My little man who's 5 was jumping up and down, he was that happy with it. We do have lots of games that we could have chosen from but I thought something new would be much more exciting and it was. We had so much fun playing it. Yes we did get a bit messy but that was okay and it wasn't a bad mess. In fact it was quite a yummy mess. 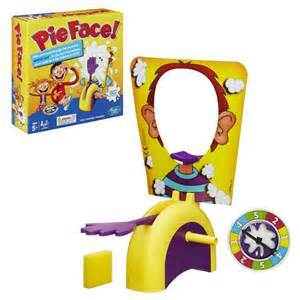 Pie Face is a very exciting game filled with fun and suspense, and somebody’s going to get splatted! You just put some whipped cream from home or the wet sponge (If you don't want to bye cream) on the "hand" of the game unit and start turning the handles. The hand could go off at any time, so keep your fingers crossed and hope you’re not the one who gets a splat in the face. The aim of the game is simple, you score a point for every time you turn the handle without getting a pie in the face and the one who scores 25 points first is the winner. It's a little scary turning that handle but it's very funny when you get splatted or at least it's very funny when it's someone else and not you, I should say. We had a great time playing Pie Face for our games night treat. We've not plaid it again since but I'm sure its' only a matter of time before it makes a reappearance real soon. Thank you Pork Farms and Hasbro for making our games night so much fun! Disclosure: We received our Pie Face game as a sample in return for an honest review.